Bittersweet Enchantment: Book Blitz: The Prophecy of Shadows by Michelle Madow + Giveaway! 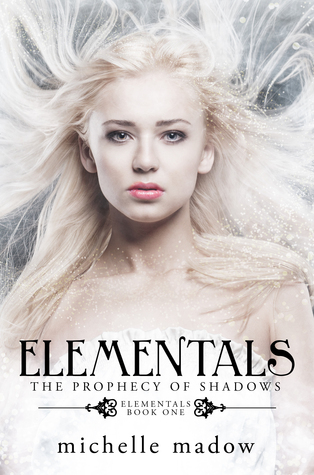 Book Blitz: The Prophecy of Shadows by Michelle Madow + Giveaway! Welcome everyone to the book blitz for The Prophecy of Shadows by Michelle Madow! Who's excited about a new book series by Michelle Madow? I know I am! I've had the pleasure of working with Michelle many times and years ago and I must say her books keep getting better and better! Michelle Madow grew up in Baltimore, graduated Rollins College in Orlando, and now lives in Boca Raton, Florida. She wrote her first book in her junior year of college, and has been writing novels since. Some of her favorite things are: reading, pizza, traveling, shopping, time travel, Broadway musicals, and spending time with friends and family. Michelle has toured across America to promote her books and to encourage high school students to embrace reading and writing. Someday, she hopes to travel the world for a year on a cruise ship.Visit Michelle online at www.michellemadow.com, and be sure to sign up for her newsletter and follow her on Amazon to get instant updates on her books! This book looks so interesting. I can't wait to read it! Xpresso Tours has terrific books and thank you for the giveaway! !